Easter is coming! I love Easter or what Noah used to call Eepster. It’s such a fun holiday for kids. It’s also about Jesus too. Noah loves looking for his Easter basket and seeing what the Easter Bunny has left for him. Now that he is older, it’s harder to figure out what to put in it. It was so easy when he was a baby and toddler, I could just find some cheap toys and books. I didn’t put candy in it until he was older. 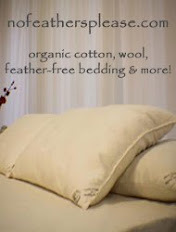 Now, what the Easter Bunny puts in can be kind of a big deal. He is definitely grateful but he’s at the age where certain things are “babyish” or a lot of his toys are bigger like LEGO sets. I don’t really like to do a basket full of candy as some Easter Bunnies do. I love candy and tend to always have different types at home so Noah doesn’t get as much candy in his basket than other kids. I had the opportunity to work with FairyTale Brownies to share with you about their new Easter themed Chocolate Chip Brownies. They are amazing as I knew they would be. Fairytale Brownies are something I secretly crave. Noah loves brownies too, they are a great replacement for candy in your child’s Easter basket. We even shared a brownie with Noah’s teacher. They have a really cute Easter label, so I wasn’t sure what she would think since it was right after Valentine’s Day. There are many other things you can do with these delicious Chocolate Chip Brownies besides putting them in your children’s Easter Baskets. You could share them with a neighbor or a co-worker. They will definitely bring a smile to their faces every time. You get 12 brownies so there are plenty to share, for even a sweet tooth like me. You can freeze them too. You can just thaw them on the counter before being taken to a chocolate chip utopia! 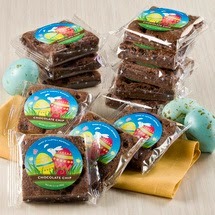 Easter 12 Bulk Chocolate Chip Brownies are $41.95 and worth every penny! This Easter celebrate with FairyTale Brownies. Thank you to FairyTale Brownies for providing me with a complimentary sample. My thoughts and opinions are my own. For more information and to order, check out FairyTale Brownies.